In an attempt to make sense of the complex universe of horology, there is no better place to start than at the very basic – understanding the different types of watch movements. A watch operates the way it does because of the internal movement. There are essentially two types of movements – mechanical and quartz. A mechanical movement is further sub-divided into hand-wound and automatic. Its energy source is the mainspring that needs to be wound up to restore energy. Meanwhile, a quartz movement derives its power from the battery. 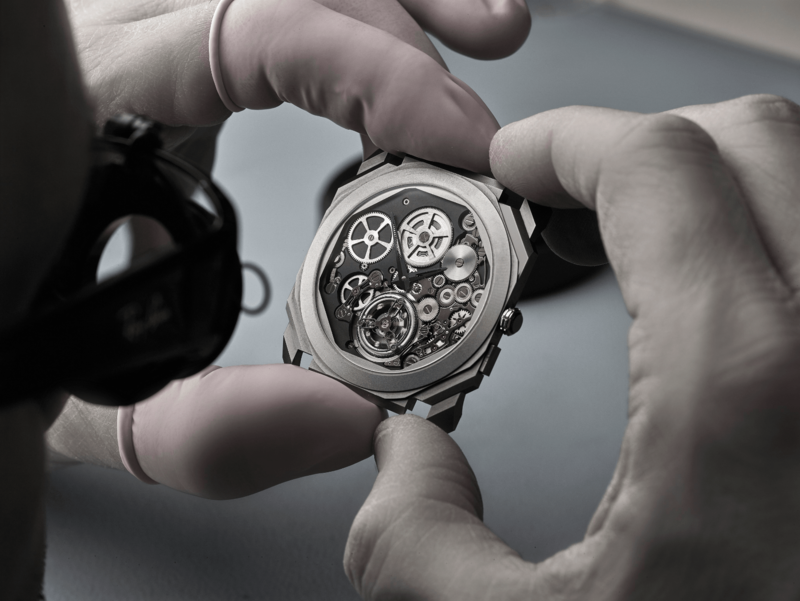 The easiest way to identify whether a watch is a mechanical or a quartz is to observe the movement of the seconds hand. On a mechanical watch, the hand moves in one smooth sweeping motion. On a quartz, the needle goes tick, tick, tick in quick jumping motion. Mechanical movements are generally favoured over quartz because the former involves huge investments in craftsmanship – that many of the skills are highly specialised and have survived for centuries only lend them greater credibility. Most, if not all, luxury watches are endowed with mechanical movements. Quartz is often perceived as sub-par when compared to mechanical movements but that notion is not entirely true. For one, while cheaper and easier to produce, a quartz movement is more accurate than a mechanical movement. Controle Officiel Suisse des Chronometres or COSC's standard accuracy requirement for a quartz to be COSC-certified is + or - 0.07 seconds per day, more stringent than the mechanical’s -4 and + 6 seconds per day. Plus, it requires less maintenance (usually involving only a change of battery) so it is also more reliable. In fact, you may be surprised to learn that there are big names in the industry that produced very high quality quartz movements, among them Patek Philippe and Breitling. The latter created quite the buzz with its SuperQuartz that is, you guess it, certified by COSC. Also known as manual, the mainspring is wound by hand via the crown. Energy stored in the mainspring is released through the gear train and balance spring to work the various watch functions. Most watch connoisseurs consider the action of winding a watch to be one of the most pleasurable things about a manual watch. Winding intervals are dependent on the power reserve capability of the watch and it can range from 24 hours to several days. Such watches often have a power reserve indicator, usually on the dial side but occasionally – for novelty’s sake - on the caseback, which can be seen through a sapphire glass. And yes, manual watches often have a transparent caseback so that one can admire the intricacies of its construction. Quality movements often boast decorated parts and traditional finishing that only enhance their beauty. It is also called a self-winding movement, and this can happen because of the addition of a micro-rotor. The mechanics of the movement are essentially similar to a hand-wound movement except that instead of winding the mainspring manually, it is done with the help of a micro-rotor that automatically winds the spring. This rotor reacts to the movement of the wrist, which means that if it is worn regularly, there is no need to wind the watch. However, if the watch has remained idle for some time, it needs a quick wind for the hands to start moving again. This is where an instrument called the watch winder is useful as it continuously winds the watch when you are not wearing it. Energy from the battery is transferred to a quartz crystal to create a precise frequency (32,768 vibrations per second). The vibrations generate electrical pulses to drive an electric motor to work the hands. Seiko invented the first quartz watch, Astron, in 1969. The Japanese manufacture “grows” its own quartz crystals in four-storey high autoclaves. Its 9F calibre, which celebrates its 25th anniversary this year, is considered one of the finest quartz movements in the industry with mechanical-standard finishing and is endowed in its premium Grand Seiko watches.